Here’s the good news to all Kapuso teenage fans. Derrick Monasterio, Barbie Forteza, Enzo Pineda and Julie Anne San Jose are the newest TIMEbassadors of UniSilver Time. Teenage fans will now see more of their idols through the exclusive watch series named after them, courtesy of the biggest and most trusted watch company in the country, UniSilver Time. Last week, Tween Heart’s members officially signed their contracts as the newest endorsers of UniSilver Time, and they will be knowed as “TIMEbassadors”. “UniSilver TIME” has a very wide range of watch collection. And one of its targeted audiences is the members of the young generation. Since UniSilver TIME is an advocate of youth empowerment it has created products that would remind the youth to be responsibly by observing time properly, thereby giving each young heart the power to reach their dreams? UniSilver believe that the Tween Hearts members will serve as the youth’s inspiration for years to come. The management of UniSilver TIME believes that these stars would serve as good example for their fans all over the country. 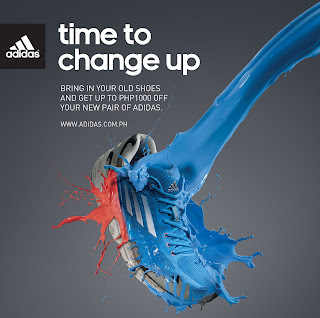 ADIDAS "Time to Change Up"
It's time to gather up your old athletic footwear and have adidas turn the old and unwanted into something valuable as they bring back the ‘Time to Change Up’ shoe swap. Continuing the partnership that they had in 2010 with HOPE Worldwide, a foundation that protects Filipino Children in Especially Difficult Circumstances (CEDC), adidas will once again donate all gathered athletic shoes of any brand to the foundation. In return, adidas will be giving discounts as a way of valuing the generosity of the people who will be participating. *Only regularly priced items are valid. Each discount value is applicable for only one pair of shoes purchased. Bring in as many old Athletic Footwear to avail of the discounts. All shoes will be donated to Hope Worldwide Philippines Inc. 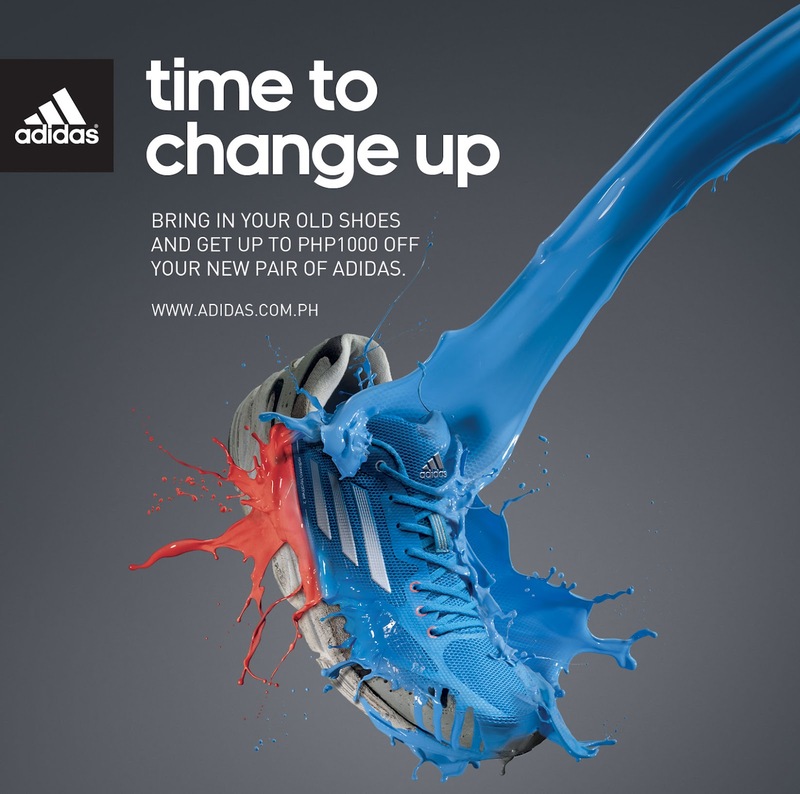 The Time to Change Up campaign runs from August 23 to October 07. UNIQLO showcased its final collection based on the collaborative design project with acclaimed designer Jun Takahashi, and his cult-hit Undercover fashion label, will be released in the Philippines from August 22. Similar to the spring-summer collection, the 2012 fall-winter collection will focus on a family theme and include a line-up of apparel for women, men and children. The first phase of the new collection will go on sale at the UNIQLO store in SM Mall of Asia, as well as UNIQLO stores in 11 markets outside of the Philippines. These line, available exclusively at UNIQLO stores, has been very successful since its debut this past spring. The concept of this unique one-year project has been the family, with collections that offer stylish clothes for parents and their children. The Uniqlo’s high quality casual clothing with designs that reflect the Undercover labels distinctively edgy and fashionable look. Today UNIQLO has more than 1,100 stores worldwide, namely in the U.S., U.K. France, Russia, China, Hong Kong, Taiwan, Singapore, Malaysia, Thailand, Philippines and Korea, as well as Japan. UNIQLO continues to open large-scale stores in some of the world's most important cities and locations, as part of its ongoing efforts to solidify its status as a truly global brand. UNIQLO operates an integrated business model under which it designs, manufactures, markets and sells high-quality, casual apparel in line with its ‘Made for All’ philosophy. This August, the renowned footwear brand Ipanema partners with the Visual Artists from Angono to celebrate “Bayanihan: A convergence of Angono’s Art Expressions”. As the local and international Visual artists showcase their craft, Ipanema harps the art of self expression on a different plane. As the saying goes, “Art is the best way to express yourself…”. This holds true even in our normal daily lives as we select the patterns and styles that suits us and reflects our personality. The renowned Brazilian footwear brand “Ipanema” made it easy for us to select our form of self expression as they offer a wide range of styles, patterns and colors from their uber –chic, and fashion forward styles of footwear. For the simple girl who just wants a “no fuss” design to express her needs for just the basics, a classy and functional Ipanema Anatomica (Plain) answers her needs. Ipanema offers basic products with plain, simple, minimal patterns that harp on comfort and simplicity. For the woman on the go who wants versatility, and a style that they can use anytime, Ipanema offers different collections that allow its use in several occasions, with seasonal pattern trends and basic details. The Ipanema New Temas Fem, Classica Envolvente and Apliques are just amomg ther many other that offer that versatility. And for the fashion forward woman who wants a one of kind premium find, Ipanema offers styles that capture the latest trends in an innovative and unique product. The Ipanema Sandalia Sol fem is just one of them. Oozing with sophistication and a reflection of the latest trends to express the personality of the fashion maven, Ipanema hasvarious, styles, colors and patters to offer. An artist or not, one can truly find it easy and intersting to express oneself thr Ipanema Way. 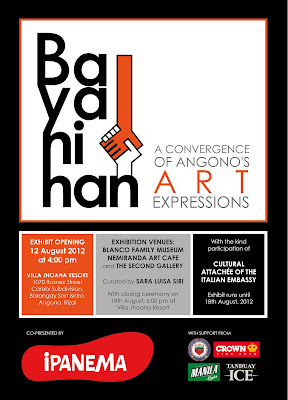 For more updates, join the official Ipanema Facebook Page at http://www.facebook.com/IpanemaPhilippines. If you've ever thought about taking a vacation and exploring the Philippines, now would be the best time to turn that idea into a reality. It doesn't matter if you want a quiet retreat or a thrilling adventure; whether you're planning your honeymoon or just going out with friends, there is no shortage of options in the upcoming 23rd Philippine Travel Mart (PTM) this coming August 10 to 12 at the SMX convention Center in Pasay City. The annual event is organized by the Philippine Tour Operators Association (PHILTOA), in cooperation with the Department of Tourism. With almost 250 exhibitors presenting their tour products through colorful pavilions and booths, the Sale ng Bayan will also launch “Philippine Island Fun Caravan Getaways”—joint group tours that cover various locations from all over the Philippines. These 4-day to 8-day tours pool local,balikbayan, and foreign tourists together to avail of special packages that would have otherwise cost a lot of money if done individually. Featured tours include the Batanes-Cagayan Northern-scape, Cordilleras Cultural Weekend Warrior Caravan, Central Visayas Backdoor tour, and the Tuna-T'Boli trail, among others. 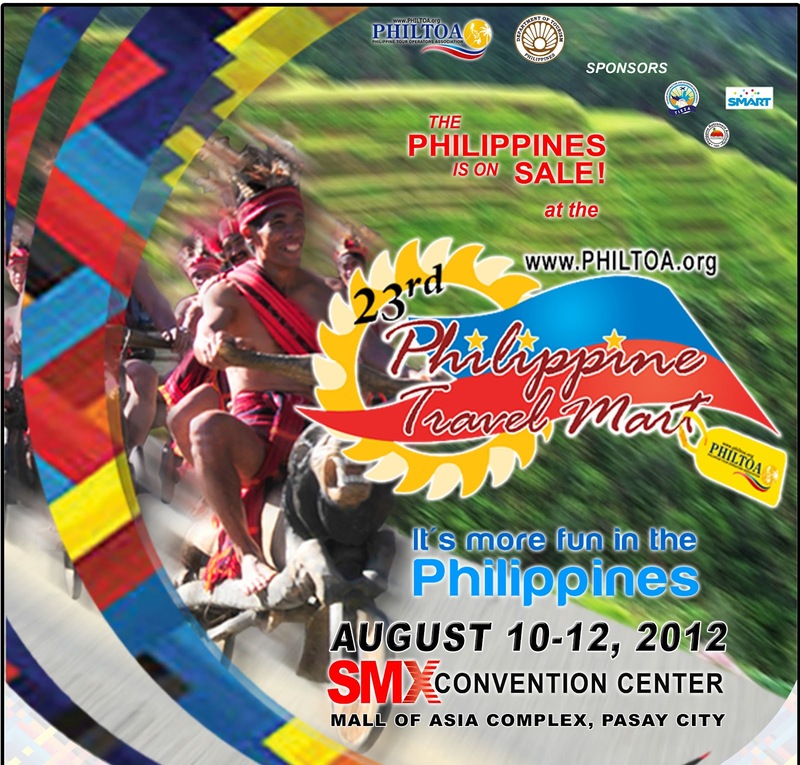 Like most trade shows, the PTM will still feature classic destinations such as Bohol, Boracay, Cebu and Palawan. 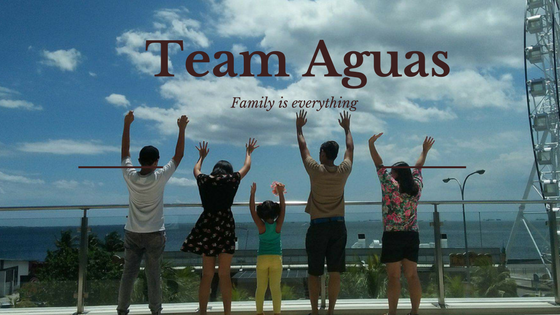 Also not to be missed are the individual tour packages that have anywhere from 70 to 80% discounted prices, such as “Kulinarya” (Binondo food trip for as low as P648), “Health and Wellness” (Tagaytay Wellness trip for as low as P2900), “Festivals” (Panagbenga trip for as low as P5500), and many more. Aside from the endless array of tour products in the country's biggest gathering of tour operators, the PTM will also provide informative seminars for students dubbed as Byahe-info. Also scheduled is an Eco Chorale Competition, a Folk Dance Competition, and even a Tourism Quiz Bee—ensuring educational activities for everyone in attendance. Pamper time with TITANIA products!! First thing to do is to prepare the foot soak. You don’t need a fancy foot spa, a basin large enough to accommodate your feet and have them fully submerged is fine. Pour warm water into the bin. Use water as warm as your feet can stand. Add 1 tablespoon of Titania VITAL FOOT BATH SALT (for every 1 liter of warm water). Titania Vital Foot Bath Salt contains Dead Sea salts that invigorate and stimulates your tired feet. It also disinfects your feet. Regular use prevents foot odor and athlete’s feet. Soak your feet for a minimum of 10 minutes and an ideal of 20 minutes. Let the warm water work on your tired feet and soften your hardened skin. After you soak your feet in warm water. It’s time to file your feet. Remember: Never try to file/scrap your feet when dry, it may cause bleeding and may thin the skin to the point of sensitivity. After the soak, touch the bottoms of your feet, singling out the rough areas that will need foot filing attention. You should be able to find the calluses, which are most commonly on the balls of your feet, sides of your feet and, of course, and the heels. Lay a towel next to the basin, and place your feet on them, drying them gently. You can now start using the foot file to slough away dead skin and calluses. Work back and forth on the callused areas until there is no more callused skin to remove; the foot should be smooth. ***There are different types of foot files available – emery, pumice, metal rasp. All of them are effective in removing dead skin cells and calluses. Each one has a coarse side and a fine side. Use the coarse side (front) to remove hard corns and calluses. Then, use the fine side (back) to get a soft and gentle smooth finish. 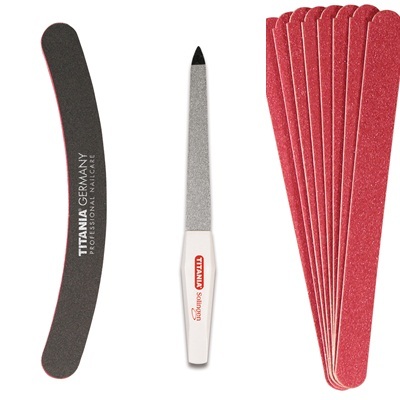 All Titania foot files can be dipped in warm water and disinfected for sanitization purposes. Available in Soft Touch line version. 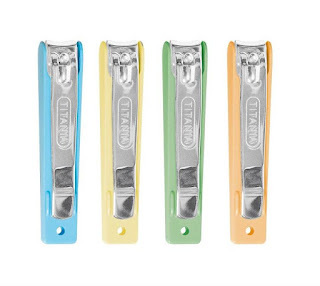 Time to do the nail cleaning; to easily remove your unwanted cuticles, you can use Titania cuticle cutters. 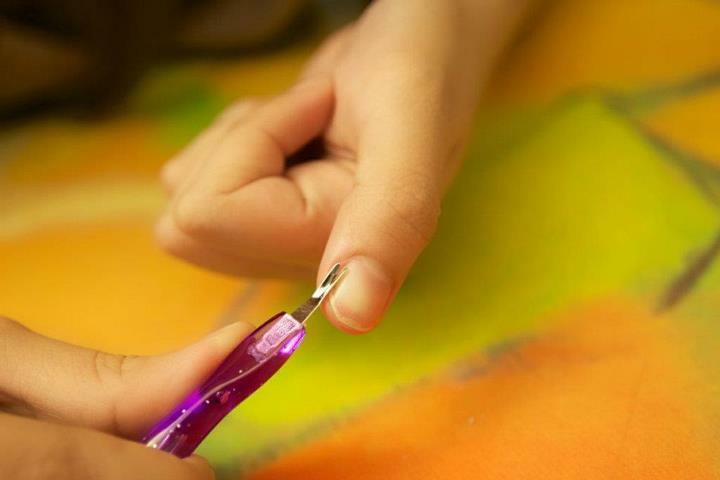 Use the soft rubber tip at the other end to push back and shape the cuticles. Then, gently slide the cuticle cutter around your cuticles to easily remove them with its flexible blade. *Remember to soak your fingers in warm water first for 5-10 minutes to soften your cuticles before using the cuticle cutter. Available in Soft Touch line version. 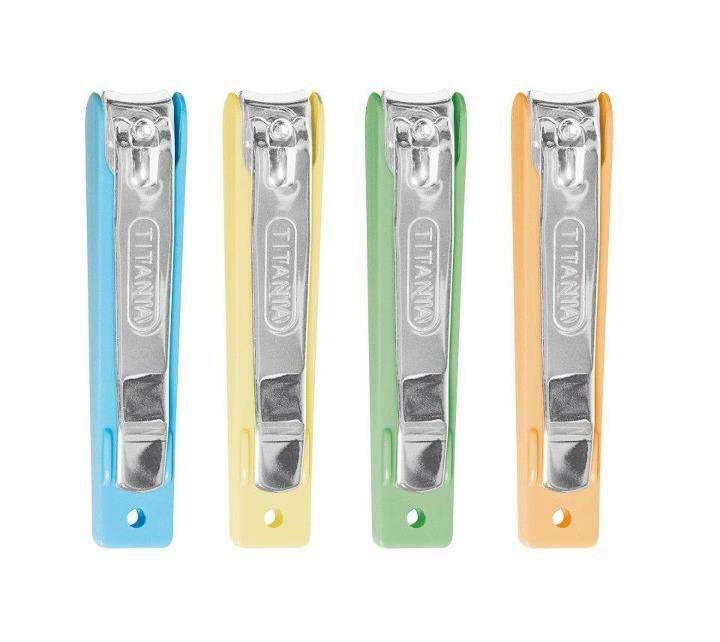 For the perfect manicure and pedicure used the Titania chromium-plated quality nail cutters with its precision-ground cutting edges. When you’re using a nail cutter, you want to start from one side to another, just clip your way across until you get your desired length. Apply pressure on the lever, being careful that the head of the clippers remains in place. With Titania’s special plastic covering, you don’t have to worry about leaving messy nail clippings when you’re cutting your nails. Just remove the covering after to throw away the clippings. Available in Soft Touch version. 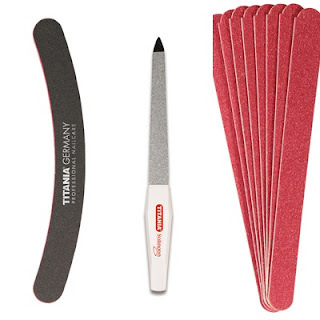 Nail files are used to smoothen any rough edges left by the nail cutter. Filing your nails can prevent them from cracking and breaking. File the nails straight up from the side and move it from one side to another. Make sure that you file your nails in a square shape to prevent ingrown. As you file your nails, the surface of the nail file may form a layer of build-up, causing it to be less effective. Wipe it off periodically to ensure that the surface of the nail file is as effective as possible. ***Wooden files, emery files and sapphire files are available. Titania sapphire files are made of flexible feathered steel. They stay straight throughout. Now, to give your dull nails a glossy look without chemical treatments or expensive manicure &/or pedicures, a nail buffer can do the trick. A nail buffer helps remove the uneven ridges of the nail, giving it a smooth appearance. Aside from that, buffing is also believed to promote blood circulation & stimulate the growth of healthy nails. So when you buff your nails, buff only in one direction, either forward or backward. Do not buff vigorously, as aggressive buffing will make your nail thin. Here are other TITANIA products that will help you. PUMICE SPONGE is also effective instruments for taking out dead skin cells and calluses. 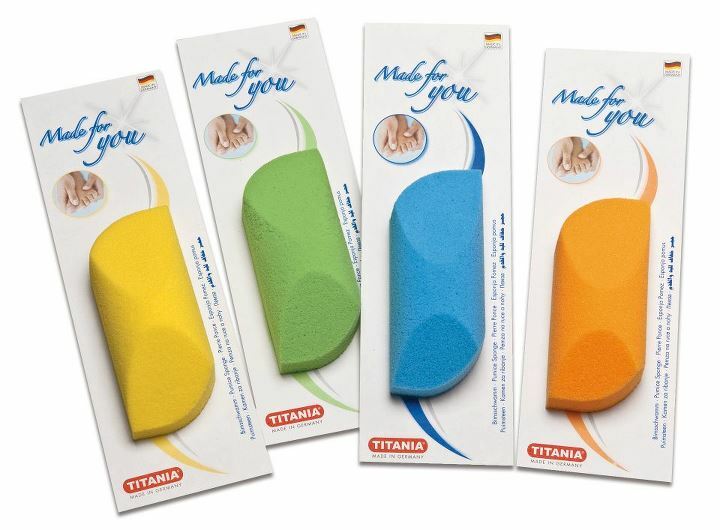 Titania pumice sponges are made of special polyurethane which makes it easier to clean and reuse than natural pumice stones. Unlike natural pumice stones whose holes close up when you’ve used them once, Titania pumice sponges disintegrate as you use them so they open up new holes every time. Mini pumice sponges are also available. Ideal for small callus areas on your feet or callused hands. 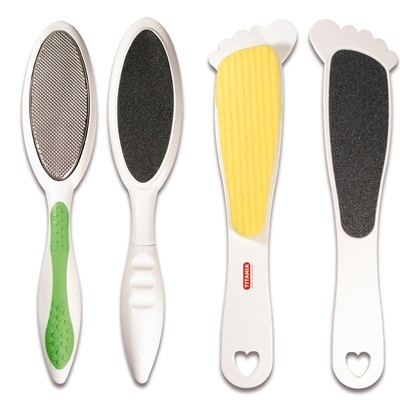 CORN CUTTER is for those calluses that are too thick and difficult to scrub off with a foot file or a pumice sponge. Use a corn cutter to gently slice off the layers of calluses. Pull the cutter across the callus in one direction and in a gentle shaving motion. When the callus area is relatively thinner, alternate to a foot file or pumice sponge to scrub it off. Do not use a corn cutter if the callus isn’t too thick as you might cut your skin. Always make sure that your cutters are sharp to prevent unwanted accidents. Refill blades are available. To replace the blade, push the middle of the cutter to disengage the blade tray from it. Available in Soft Touch version. Thanks to Freyja Day and Nail Spa for wonderful hand at foot spa session! !I enjoyed my mani and pedi session!! 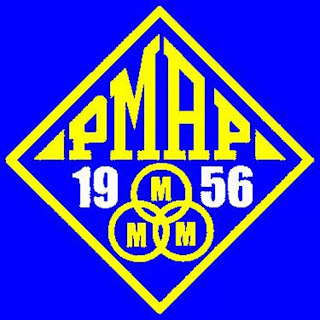 Now on its 49th year, the Annual Conference of the People Management Association of the Philippines (PMAP) will be held on September 12 to 14, 2012 at the Waterfront Hotel, Lahug, Cebu City. With the theme, “REVOLUTIONIZING PEOPLE MANAGEMENT! GREAT MINDS, BOLD CHANGES, UNPARALLELED RESULTS”, this year’s Conference reflects the wave of revolutions on the political front and how businesses and organizations share the same challenge of not only changing our leaders but also changing the way we lead people. As people managers, we say that a change OF men is no longer enough. What we need is a change IN men! The first two days of the Conference will feature plenary sessions with CEO’s and thought leaders who will tackle the changing business environment and discuss the strategic role of HR in leading and executing HR programs to transform and support business goals. The focus areas of these sessions are; “Deepening Leadership Bench”, “Driving Innovation”, and “Accelerating Talent Development”. The third day of the Conference will feature breakout sessions and workshops with topics on Talent Acquisition; Organizational Change, People Productivity and People Engagement. There will also be a SITE BEST PRACTICE TOUR that will showcase best practices of four companies based in Cebu City. Delegates will also be able to actively participate in creating and managing their own agenda around the central theme of the Conference through OPEN SPACE TECHNOLOGY. For registration and other inquiries, please call PMAP at tel. no. 726-1532 or email pmap@pmap.org.ph. 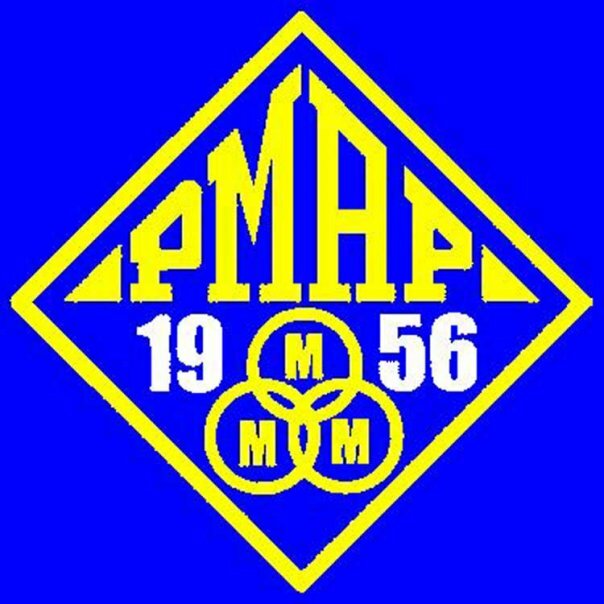 You can also visit www.pmap.org.ph and follow their Facebook fanpage at PMAP1956 for updates for upcoming events and other activities. Bayani.. Ang Tatay ko!! movie to watch for!! SM City Sta. Mesa 3-day Sale!! 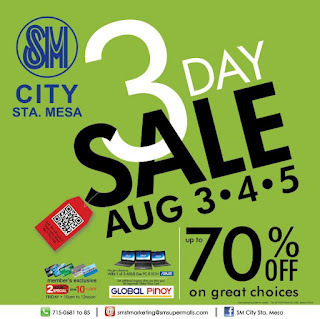 Mark your calendars on Aug. 3,4 & 5 for the biggest Sale offer from SM city Sta. Mesa. Plus,if you shop on Aug. 3 from 10am to 12nn with your SM Advantage card, you're entitled to the "First 2-hour sale" (take 10% off on all items). And be the 5 lucky winners to win latest gadget from SM city Sta. Mesa. So be there on Aug. 3, 4 & 5.